Ex Shooting stars whiz-kid,Bosun Ayeni has been offered a contract at Danish first division side,Brønshøj after impressing in trials held at the club.The terms and financial details of the deal were not disclosed. The 31 year midfielder was dismissed from his last club,SønderjyskE for headbutting a team-mate,Kenneth Fabricius.After the incident,Bosun had a few years break from football. 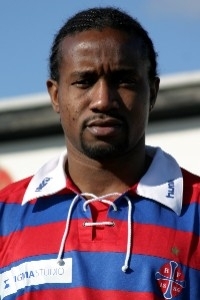 Bosun had previously played for Reggiana,Lyngby,FC Nordsjælland and SønderjyskE.